Does a person have to “convert” to be a Christian? Or can one merely “follow” Jesus by studying Scripture? Does the Bible ever say that conversion is necessary? Or is it a development of the church? 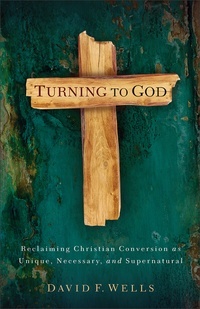 Turning to God explores these fundamental questions about regeneration and conversion, distinguishing Christianity from every other faith as one in which conversion is unique, supernatural, and necessary for salvation. In it you will find a clear, thoughtful, balanced discussion of the Christian conversion experience, including its history, controversy, and scriptural basis. Anyone who has marveled at the mystery of how and why we turn to God, along with those skeptical of religious conversion, will find themselves challenged and encouraged by this thorough treatment of one of the fundamentals of the Christian faith.